Advice around sun protection can seem contradictory. Some suggestions are dated, and some may be biased towards a specific product. 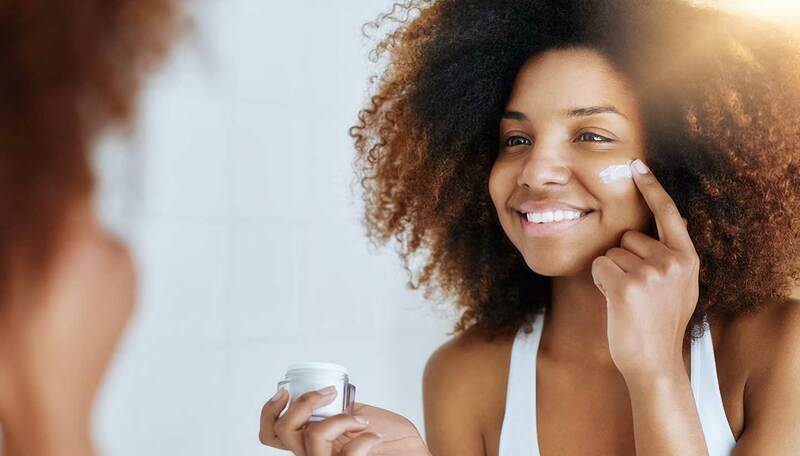 We spoke to dermatologists Dr Nick Lowe and Dr Philippa Lowe at the Cranley Clinic in London to find out the latest advice in protecting your skin from the harmful elements of the sun’s rays. Most people scan the sunscreen shelves looking for SPF – which rates UVB protection – but there are two elements of UV radiation in sunlight. Both UVA and UVB can have harmful effects: both can cause skin cancer and premature ageing of the skin. UVB rays are partially absorbed by the ozone layers, and these are the ones that are the primary cause of sunburn. UVA rays penetrate the ozone layer (and cloud cover), and although they won’t burn your skin, Dr Nick Lowe explains they can damage collagen and make your skin age prematurely even when it isn’t sunny. Sunscreens protect your skin by absorbing or reflecting UV rays. While your SPF will protect the skin from UVB rays, it won’t necessarily protect against UVA. If you’re looking for good protection, the Drs Lowe say to look for the UVA circular logo. There are some other UVA rating systems, including the PA system which is Japanese/Korean and used on some European brands, but they are not universally accepted. PA+++ gives you high protection, PA++ and PA+ lower. What SPF should you look for? What level of sun protection you use will depend on your skin type. For those with very fair skin (skin type 1), who always burn and never tan, Dr Nick Lowe recommends using a summer protection of SPF 50+UVA. He also recommends 50+UVA for people with fair skin, who do tan but only very lightly. For those with olive skin it drops down to 30+UVA, and for those with very dark skin it goes down to SPF 15+UVA. The final check is to see whether you’re using enough sunscreen. Dr Phillipa Lowe says, “You should be using a lot more than you think”. Break each side of your body down to eleven areas; your face, each shoulder and upper arm, each lower arm and hand, each lower leg and foot, and your upper and lower torso on both sides. Each part of your body needs about one millilitre of sunscreen (about the size of a ten pence piece). Also, remember to reapply at least every two hours or sooner, especially in particularly strong sun or if you are swimming and sweating. 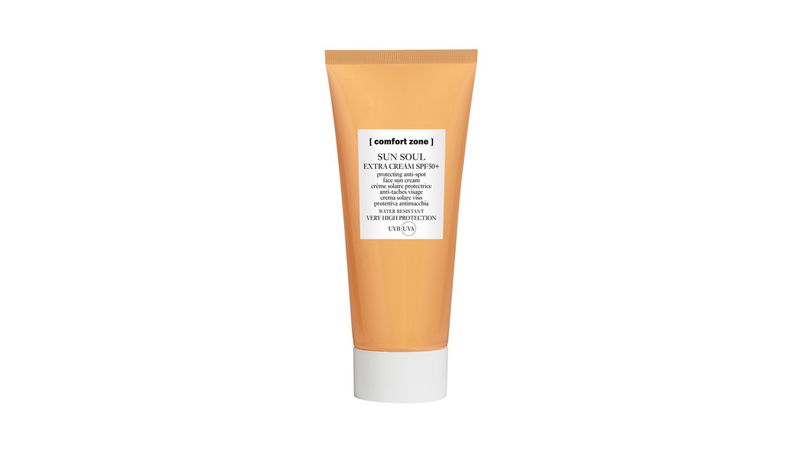 The Sun Soul Extra Cream comes in a smart light orange tube with a white screw-on cap. The water resistant, high SPF sun cream claims to do three jobs: prevent sunburn, keep brown spots at bay and protect against ageing. It’s recommended for fair skin, those who burn easily and for post-cosmetic procedures such as peels. The rich creamy lotion is thick, easy to apply and super absorbent. It’s so light that, on sunny days, I apply it instead of my usual moisturiser to avoid clogging my pores with two products. At 60ml, it’s well within the size limit for airport hand luggage, or simply pop it in your handbag and top up whenever the sun puts its hat on. Perfect for everyday use, it contains 69 per cent natural ingredients, is practically scent-free (except for a very slight and pleasant citrus note) and does what it’s meant to do: protects. 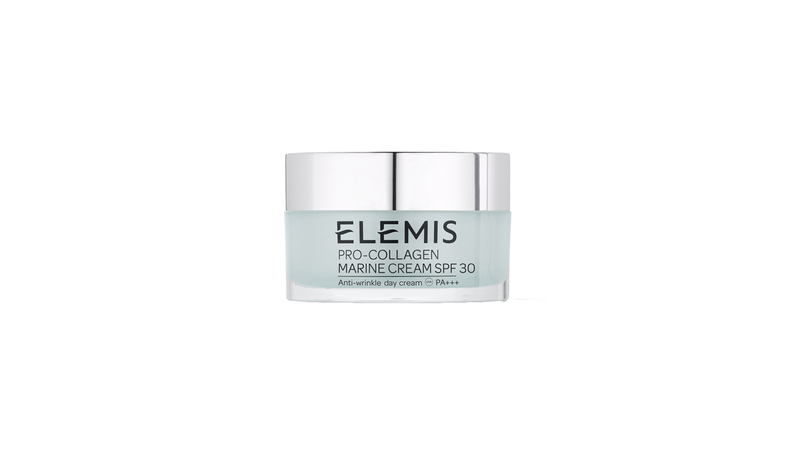 The cult-classic Pro-Collagen Marine has recently been revamped to include SPF 30 – hurray! The glass and aqua pot comes with a silver screw top, it’s suitably spa-like but without a squeeze or pump top you’ll have to work out the right amount for your skin. The cream is thick, indulgent and sweet smelling – it’s also quite rich so great for dry and de-hydrated skin types. It melts onto the skin with very little residue and sits well under make-up. This is a great moisturiser for everyday use. The SPF sits alongside the well-known and loved Elemis anti-ageing formula, so it makes sense to make the switch to protect your skin throughout the year – your skin will thank you for it! 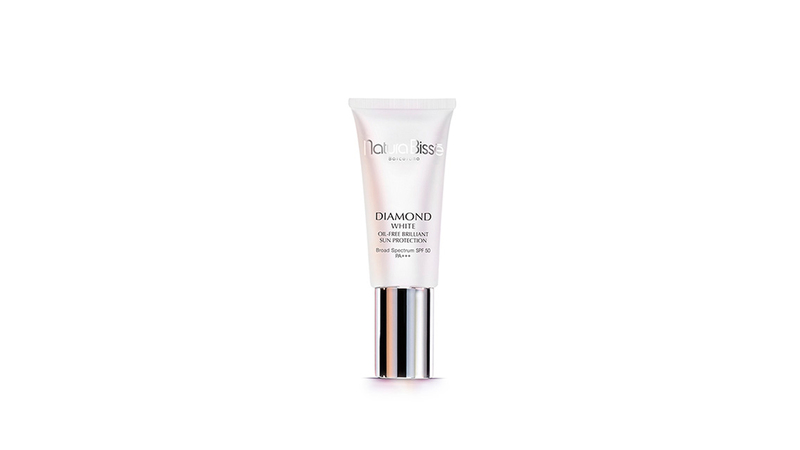 The Natura Bissé Diamond White SPF comes in a silver and pearl tube with a pump action top. It is easy to measure and applies well with your fingers or a brush as part of a make-up routine. The cream feels quite thick, and despite being oil-free my skin did still look a little dewy. It felt moisturising and hydrating for several hours after application. Delightfully, it doesn’t have the traditional sunscreen odour, no more sickly coconut! The top level SPF and UVA protection means it’s perfect for very hot and sunny weather. The cream has a slight pigment to it, so there is some coverage – almost like a BB cream. There’s a single colour so although it’s adaptive, it may not work for everyone. The oil-free base should help keep holiday blemishes under control, and the coverage is perfect for giving you a little confidence while lounging around. This will definitely make it into my beach bag during the summer. Life Defence comes in a white tube with a silver pump and lid, dispensing the right amount of product is easy and mess free. Not only does it have UVA and UVB protection, it also contains an anti-oxidant complex with vitamin E and hyaluronic acid designed to nourish and protect the skin from the environment as well as the sun. Life Defence is a lightweight moisturiser which feels fresh and sinks into the skin quickly. It layers up easily too, with each application feeling as lightweight as the first. I could even apply it under my make-up without feeling overloaded. At well under 100ml, it’s easy to take while you travel. 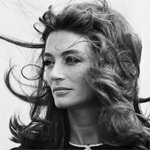 Rather than just sticking to holidays, I will continue using it through the autumn and winter (year-round protection is recommended by dermatologists). We tend to equate higher factor sun cream with a thicker consistency, but the Thalgo Age Defence Sun Cream is quite light. The cream smells subtly of vanilla and maybe sunflower – very summery – and has the consistency of a gelato, but without being sticky. Once smoothed onto my skin it sank in quickly and left a faint, glimmering sheen. My skin felt cool and nourished, exactly what you need when you’re getting ready to step out into the sun. I have very fair skin and used the cream in the hot Portugal sun and it worked: I didn’t burn at all, not even my nose, which always goes red! 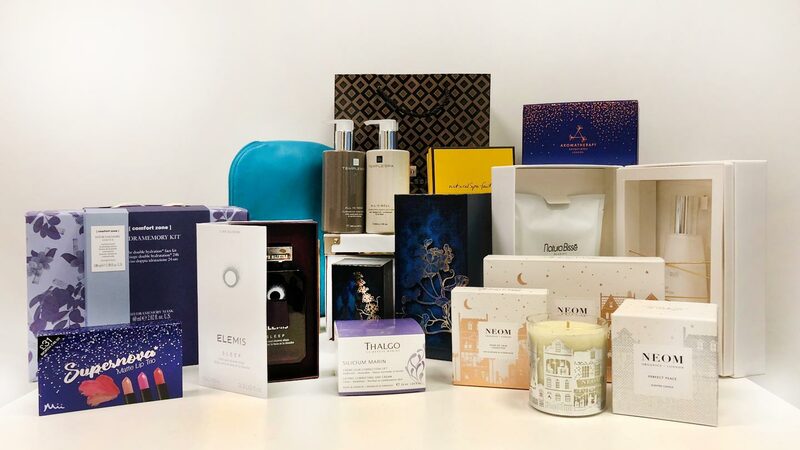 As a body lotion, this is the largest product test and won’t fit in your hand luggage. Take it in your suitcase for vacance exotiques.